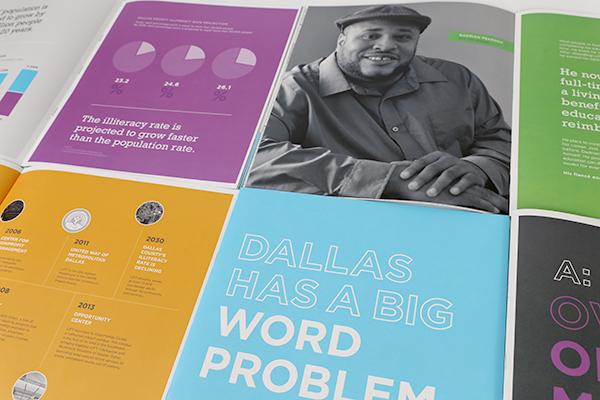 Can you believe that 1 in 5 adults in North Texas can't read? We couldn't either, and so began a great client relationship with LIFT (Literacy Instruction for Texas). As a part of their big move to Opportunity Center, LIFT came to Range for a complete brand refresh. The result, an updated identity and brand experience that reflects the positive and spirited approach they take with their students, volunteers, and donors. We still have yet to find someone in their office without a smile on their face. To learn more about the incredible work LIFT is doing to better our community, and see for yourself the alarming facts about adult literacy in our own backyard, visit the new site we recently launched.